***$0 DOWNPAYMENT USDA LOAN ELIGIBLE FOR QUALIFIED BUYERS!!! 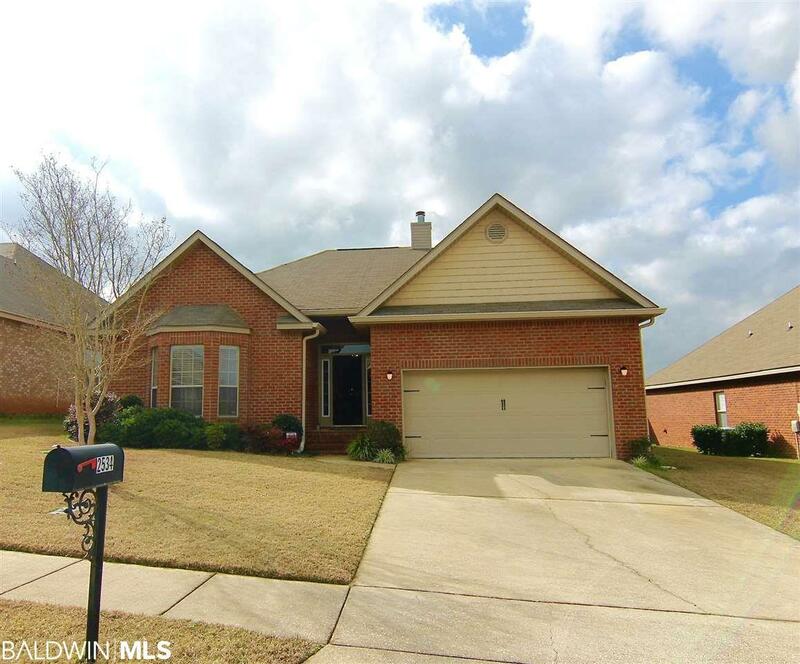 *** This is the perfect Move-in ready home located in West Mobile right by Causey Middle School! This beautiful 3 bedroom 2 bathroom home has an open concept with arched doorways, beautiful hardwood floors and raised ceilings throughout the living room, dining room and kitchen area. The kitchen has granite, GE stainless appliances, an eat-at bar and opens to the large dining room. The master bedroom is massive in size and features a tray ceiling with two large walk-in closets. The master bath has a gorgeous double vanity, garden tub and separate shower. The additional bedrooms each have large closets and are remarkable in size. The guest bath has a tub/shower and features a single vanity. The sun room is the perfect place to relax or it can be used as the ideal home office. The privacy fenced backyard is a great place to entertain your guests around the sparkling above-ground pool with a large deck for sunbathing! The backyard also features a beautiful gazebo and an outside storage shed. Don't miss out on this low-maintenance picture perfect family home! All measurements are approximate but not guaranteed, buyer to verify.